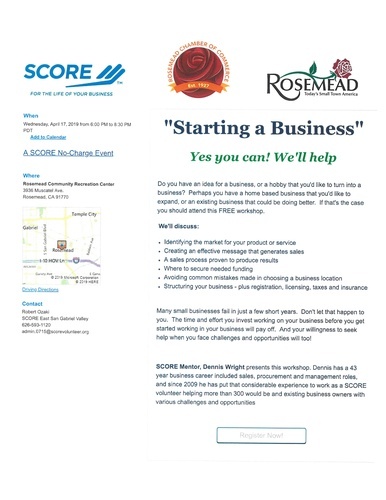 "Starting a Business" Yes you can! We'll help. Do you have an idea for a business, or a hobby that you'd like to turn into a business? Perhaps you have a home based business that you'd like to expand, or an existing business that you'd like to expand, or an existing business that could be doing better. If that's the case you should attend this FREE workshop. CAll (626) 593-1120 or send an email to register.